Cleasby, Richard, and Gudbrand Vigfusson. An Icelandic–English dictionary. Oxford: Clarendon Press, 1869. Reference: Morris catalogue (2), no. 691 (where it is misdated 1859). Moland, Louis Émile Dieudonné, and Charles d’Hâericault. Nouvelles françoises en prose du XIIIe siécle. Bibliothèque elzevirienne. Paris: Pierre Jannet, 1856. Provenance: Morris. — Richard Bennett. — Sotheby 1898, lot 42 (part; sold to Breslauer for £1 9s.). — Caxton Head [Tregaskis] catalogue 539, July 1903. — Unlocated. Reference: MS catalogue (2), no. 67. Moland, Louis Émile Dieudonné, and Charles d’Hâericault. Nouvelles françoises en prose du XIVe siécle. Bibliothèque elzevirienne. Paris: Pierre Jannet, 1858. 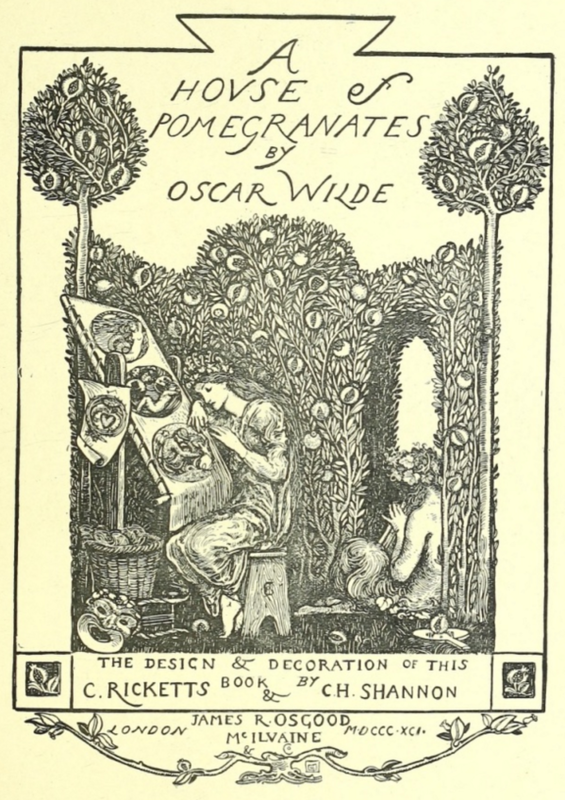 The Sotheby 1898 catalogue indicates that Morris owned two copies of this title. Provenance: Morris. — Richard Bennett. — Sotheby 1898, lot 42 (part; sold to Breslauer for £1 9s.). — Unlocated. Wright, Thomas, ed. Les cent nouvelles nouvelles. Bibliothèque elzevirienne. 2 vols. Paris: Pierre Jannet, 1858. Montaiglon, Anatole de. Le livre du chevalier de la Tour-Landry. Bibliothèque elzevirienne. Paris: Pierre Jannet, 1854. Provenance: Morris. — Richard Bennett. — Sotheby 1898, lot 42 (part; sold to Breslauer for £1 9s.). — Caxton Head [Tregaskis] catalogue 539, July 1903, no. 193 (12s. 6d.). — Unlocated. Morris, William. The roots of the mountains. London: Reeves and Turner, 1890. Inscribed by Morris to Jenny Morris. Provenance: Morris. — Jenny Morris. — Mark Samuel Lasner. — Mark Samuels Lasner Collection, University of Delaware. Rossetti, Dante Gabriel. Dante Gabriel Rossetti: his family letters. Ed. William Michael Rossetti. 2 vols. London: Ellis and Elvey, 1895. Provenance: Morris. — Mark Samuels Lasner (purchased from Heartwood Books, 1982). — Mark Samuels Lasner Collection, University of Delaware Library. Large paper. This probably passed through the Sotheby 1898 sale, since it has Morris’s book label, but it does not appear in that catalogue. Provenance: Morris. — W.F.G. — James William Ellsworth. — Rosenbach (sold 27 December 1943 for $25). — Christie, 2004, lot 198 (sold for £1,075). — Unlocated. Riaño, Juan F. The industrial arts in Spain. London: Published for the Committee of Council on Education by Chapman and Hall, 1879. Reference: MS catalogue (2), no. 424. Pérez de Valencia, Jaime [Jacobus Perez de Valentia]. Expositiones in psalmos Davidi. Lyon: Bernard Rosier and Jean Thomas for Etienne Gueynard, 29 October and 15 November 1512. Provenance: Morris. — Richard Bennett. — Sotheby 1898, lot 858 (sold to Henry Wellcome for £3). — Henry Wellcome. — Wellcome Library [deaccessioned]. — Wellcome auctions (1), lot 232 (sold to Eiseman for £2). — H. P. Kraus catalogue 66 (1954? ), no. 516 ($135) [HathiTrust] . — Unlocated. References: Ellis valuation, fol. 16b, no. 201 (10s.). — MS catalogue (2), no. 941. Laxdaela-Saga. Copenhagen: sumtibus Legati Magnæani ex typographeo H. F. Popp, 1826. Presentation inscription from Morris to Forman. Provenance: Morris. — Harry Buxton Forman — William F. Gable. — Elizabeth Wade White. — Beinecke Library, Yale University (BEIN 1976 59). Digital versions: Google. 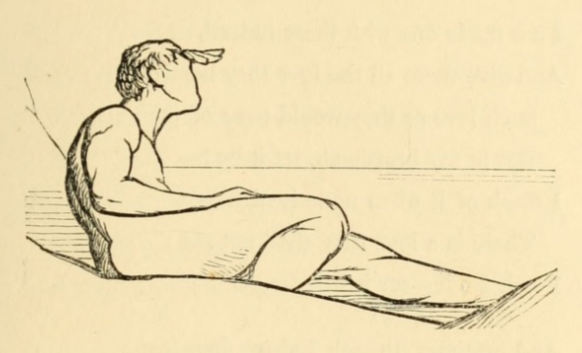 — HathiTrust. Laxdaela-Saga. Copenhagen: sumtibus Legati Magnaeani ex typographeo H. F. Popp, 1826. Provenance: Morris. — Richard Bennett. — Sotheby 1898, lot 899 (sold to Henry Wellcome for £1 1s.). — Henry Wellcome. — Wellcome Library [deaccessioned]. — Walter Emery. — Beinecke Library, Yale University (BEIN 2004 +138). Reference: MS catalogue (2), no. 386. Jochumsson, Matthías. Ljóðmaeli. Reykjavík: á forlag Kristjáns Ó. Þorgrímssonar, 1884. Reference: MS catalogue (2), no. 809. Unger, Carl Richard, ed. Alexanders saga. Christiania: Feilberg & Landmark Forlag, 1848. Provenance: Morris. — Richard Bennett. — Sotheby 1898, lot 846 (part; sold to Henry Wellcome for £2 4s.). — Henry Wellcome. — Wellcome Library [deaccessioned]. — Beinecke Library, Yale University (2000 1525). Gislason, Konrad, ed. Sagan af Helga ok Grími Droplaugarsonum. Copenhagen: Brødrene Berlings Bogtrykkeri, 1847. Hervar saga ok Heiđreks konungs. Copenhagen: Brødrene Berlings Bogtrykkeri, 1847. Friðriksson, G. Sagan af Þorđi Hređu. Copenhagen: Berlingske Bogtrykkeri, 1848. Vigfússon, Guðbrandr. Barđarsaga Snoefellsass. Copenhagen: Berlingske Bogtrykkeri ved N. H. Stendrup, 1860. Provenance: Morris. — Richard Bennett. — Sotheby 1898, lot 846 (part; sold to Henry Wellcome for £2 4s.). — Henry Wellcome. — Wellcome Library [deaccessioned]. — Beinecke Library, Yale University (2000 1525 [Gislason; Friðriksson; Vigfússon; Hervar saga ok Heiđreks konungs has no separate entry). Homer. The first six books of Homer’s Iliad, with an interpaged translation. London: printed for Taylor and Walton, 1841. The MS catalogue (2) identifies this only as an edition of the Iliad published in London in 1841; we think this is the most likely candidate, though the MS catalogue also specifies that it is two volumes. The second volume may refer to the second edition of The first six books of Virgil’s Aeneid, with an interpaged translation, issued in a similar format by the same publisher in 1841. Reference: MS catalogue (2), no. 567. Signed “W. Morris Red House, Upton, Kent” on half-title, and bookplate of Edward Burne-Jones. Provenance: Morris. — Edward Burne-Jones. — J. W. and Margaret Mackail. — Mark Samuels Lasner. — Mark Samuels Lasner Collection, University of Delaware Library. Steele, Robert, ed. 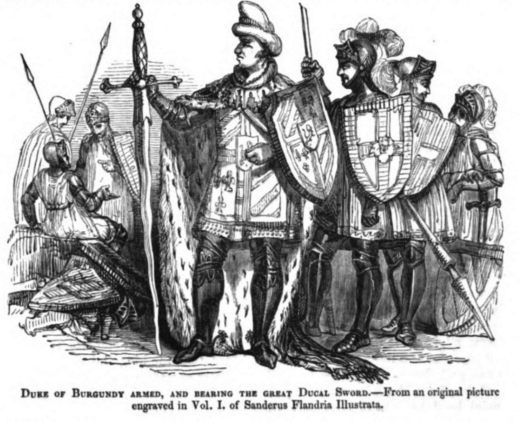 Huon of Bordeaux, done into English by Sir John Bourchier, Lord Berners, and now retold by Robert Steele. London: George Allen, 1895. Inscribed “William Morris from Robert Steele.” Illustrated by Fred Mason. Provenance: Robert Steele. — Morris. — Richard Bennett. — Sotheby 1898, lot 491 (sold to Tregaskis for 17s.). — Edwin N. Lapham. — Lapham’s sale, Anderson Auction Co., 1–3 December 1908, lot 962 (sold for $11) [HathiTrust] . — John Quinn. — Mark Samuels Lasner. — Mark Samuels Lasner Collection, University of Delaware Library. Rogers, Samuel. Poems. London: printed by T. Bensley for T. Cadell and W. Davies, 1812. Illustrated by Thomas Stothard. Substitute title-page, drawn in pen and ink. The Huntington Library believes the book was owned by Morris, but we are not convinced, because the bookplate (reproduced below) does not resemble anything that Morris is known to have used. Nevertheless, we are listing it here for possible further investigation. Provenance: E. E. Baker (?). — Morris (?). — John Fletcher Hurst. — Hurst sale, part 2, Anderson Auction Company (New York), 1905, lot 3277 [HathiTrust]. — Huntington Library (23971). Reference: MS catalogue (2), no. 771. Aelian [Claudius Aelianus]. Varia historia. 2 vols. Leiden: Johannem du Vivie and Isaacum Severinum, 1701. Reference: MS catalogue (2), no. 766. Friemar, Heinrich von. Preceptorium Nicolai de lira. Paris: Jehan Petit, [c. 1510]. Provenance: Morris. — Richard Bennett. — Sotheby 1898, lot 627 (sold to Henry Wellcome for 19s.). — Henry Wellcome. — Wellcome Library [deaccessioned]. — Unlocated. Gilchrist, Alexander. Life of Blake, “Pictor ignotus”. 2 vols. London and Cambridge: Macmillan, 1863. Provenance: Morris. — Jane Morris (?). — May Morris. — Mary Lobb. — Lobb sale 1, lot 424 (part; sold for 16s.). — Unlocated. Hissey, James John. On the box seat from London to Land’s End. London: R. Bentley & Son, 1886. Illustrated. On the front pastedown is an ink-brush design for a printer’s device: a floriated monogram “WM” within a shield surrounded by a ribbon reading “At the Kelmscott Press by me William Morris.” A dealer’s note describes this as “from William Morris’s library, and contains pasted inside cover William Morris’s own pen-and-ink drawing of his bookplate.” Morris of course did not have a bookplate; the small label appearing in most of his books was created after his death by his executors. Provenance: Morris (?). — Brown University Library (HAY KOOPMAN DA625 .H667). Unger, C. R., trans. Karlamagnus saga ok kappa hans. Christiania: H. J. Jenson, 1860. Provenance: Morris. — Richard Bennett. — Sotheby 1898, lot 849 (sold to Henry Wellcome for £4 8s.). — Henry Wellcome. — Wellcome Library [deaccessioned]. — Unlocated. Reference: MS catalogue (2), no. 919. Reference: MS catalogue (2), no. 730. Hafner-Alteneck, J. H. Trachten, kunstwerke un geräthschaften vom frühen mittelater bis ende des achtzehnten jahrhunderts. 10 vols. in 5. Frankfurt am Main: H. Keller, 1879–1889. Provenance: Morris. — Richard Bennett. — Sotheby 1898, lot 476 (sold to Henry Wellcome for £32). — Henry Wellcome. — Wellcome Library (Closed stores Hist. 2 ZH /HEF). Sagan af Niáli Þórgeirssyni ok sonvm hans &c. [Copenhagen]: Prentvd i Kavpmannahavfn, af Johann Rúdolph Thiele, 1772. Provenance: Paul Riant, le Comte de Riant — Morris. — Richard Bennett. — Sotheby 1898, lot 902 (sold to Henry Wellcome for £1 1s.). — Henry Wellcome. — Beinecke Library, Yale University (1997 320). Reference: MS catalogue (2), no. 883. Francis, Francis. Angling. London: “The Field” Office, 1877. Reference: MS catalogue (2), no. 816. Carlyle, Thomas. Past and Present. London: Chapman and Hall, 1843. MS catalogue (2) does not identify the edition. Reference: MS catalogue (2), no. 806. A descriptive catalogue of the glass vessels in the South Kensington Museum. London: printed by George E. Eyre and William Spottiswoode and sold by Chapman and Hall, 1878. Illustrated. With an introductory notice by Alexander Nesbitt. Reference: MS catalogue (2), no. 705. Le Fanu, Joseph Sheridan. The rose and the key. 3 vols. London: Chapman & Hall, 1871. Reference: MS catalogue (2), no. 752. Auerbach, Berthold. Lorley and Reinhard. Trans. Charles T. Brooks. New York: Henry Holt and Company, 1877. Reference: MS catalogue (2), no. 704. Provenance: Morris (purchased for £3). — Richard Bennett. — Sotheby 1898, lot 542 (sold to Quaritch for £6). — Quaritch catalogue 353 (May 1919), no. 124 (£12) [HathiTrust]. — Unlocated. References: Ellis valuation, fol. 12b, no. 148 (£5). — MS catalogue (1), fol. 4. — MS catalogue (2), no. 81 (with two X’s next to it). Aeschylus. Prometheus the fire-giver: an attempted restoration of the lost first part of the Promethean trilogy. Ed. William C. Bennett. London: Chatto and Windus, 1877. Provenance: Morris. — Richard Bennett (?). — Sotheby 1898 (?). — Tregaskis catalogue, 18 September 1899, no. 3 (5s.). — Unlocated. Monstrelet, Enguerrand de. The chronicles of Enguerrand de Monstrelet . . . beginning at the year MCCCC, where that of Sir John Froissart finishes, and ending at the year MDXVL. Trans. Thomas Johnes. 2 vols. London: Henry Bohm, 1853. Illustrated. Signed “William Morris | Exeter College: Oxon”; ownership stamp of Morris & Company, Merton Abbey, on front pastedown, title-page, and first and last pages of text. Provenance: Morris. — Morris & Co. library. — Thomas A. Goldwasser (sold to Stanford University, 2012). — Felton Collection, Stanford University Library (D113 .M73 T6 1853) [vol. 2 only]. Swinburne, Algernon C. Poems and ballads. London: John Camden Hotten, 1878. Reference: MS catalogue (2), no. 230. Swinburne, Algernon C. A song of Italy. London: John Camden Hotten, 1867. Reference: MS catalogue (2), no. 225. O’Shaughnessy, Arthur W. E. An epic of women and other poems. London: John Camden Hotten, 1870. Inscribed by O’Shaughnessy to Morris, October 1870. Illustrated. Provenance: Arthur W. E. O’Shaughnessy. — Morris. — Richard Bennett. — Sotheby 1898, lot 801 (part; sold to Tregaskis for £2 5s.). — John Quinn. — Norman Colbeck. — University of British Columbia Library (Rare Books PR10.Q4 O8 1870). References: A Bookman’s Catalogue: The Norman Colbeck Collection of Nineteenth-Century and Edwardian Poetry and Belles Lettres (Vancouver: University of British Columbia Press, 1987), 2:623. — MS catalogue (2), no. 632. Wilde, Oscar. A house of pomegranates. London: J. R. Osgood, McIlvain, 1891. Ornaments by Charles S. Ricketts and Charles Shannon. Provenance: Morris. — Jane Morris. — May Morris. — Mary Lobb. — Lobb sale 2, lot 438 (sold for £1). — Unlocated.